SOTA News January 2019 SOTA Instruments Inc.
We've been wondering … just how long does Ionic~Colloidal Silver remain effective? Previous testing had already let us know that SOTA Ionic~Colloidal Silver is an effective disinfectant against Escherichia coli (E. coli) and Pseudomonas aeruginosa. However, that testing was done using freshly made Ionic~Colloidal Silver. Would the Ionic~Colloidal Silver remain effective as it aged? Would the parts per million (ppm) change as the solution aged, affecting its ability to successfully neutralize the pathogens? To answer these questions, we decided to conduct long–term testing of an Ionic~Colloidal Silver electrolyte against three pathogens: Escherichia coli (E. coli), Pseudomonas aeruginosa and Streptococcus pyogenes (Strep). 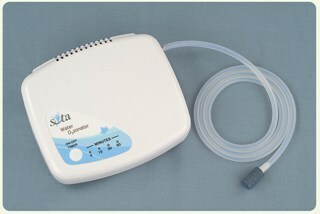 The testing measures the effectiveness of the solution against the pathogens as well as the ppm. To be considered effective, the Ionic~Colloidal Silver must kill 99.99% of the pathogens within 30 seconds of contact. 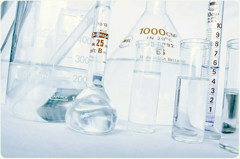 To date, we've tested our Ionic~Colloidal Silver solution at 0, 3, 6, 9 and most recently 12 months. We are thrilled to say the Ionic~Colloidal Silver has remained effective and it continues to neutralize all three pathogens within 30 seconds. The ppm of the solution has held steady at approximately 9 ppm. The results are encouraging as they let us know that when properly made and stored, Ionic~Colloidal Silver maintains its ppm and its effectiveness over time. We plan to continue this testing at the 18, 24 and 36 month mark. We're excited to see just how long a batch of SOTA Ionic~Colloidal Silver can last. 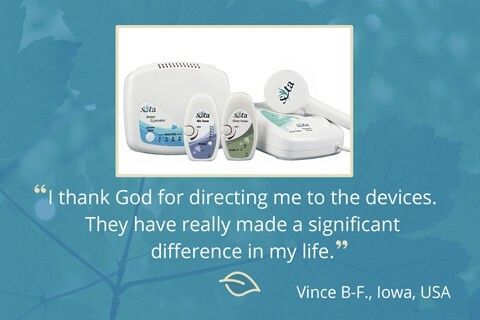 One of the joys of working at SOTA is hearing from customers about their experiences with SOTA Products. All of these stories — our Living Treasures — are cherished and valued for their uniqueness and inspiration. Although most of these experiences are shared with us by telephone or email, the new trend is toward self–filmed videos! 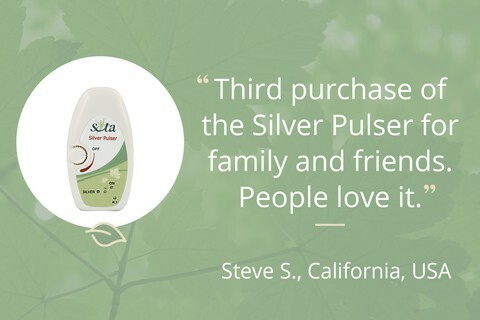 Do you have an experience with the SOTA Products that you want to share with us? Why not send us a video?! It's super simple, and is just a matter of setting up your camera or Smartphone to film yourself. You can also recruit a friend to help out. We aren't looking for a Hollywood production, quite the contrary. Just a simple video of you telling your story straight from your heart. Maybe 5–10 minutes at the most. 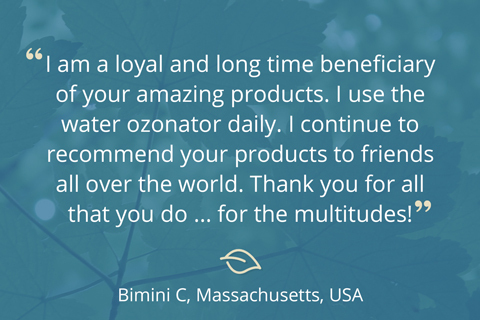 For more on sharing your experience with SOTA Products, please visit Share Your Experience. You'll find a link with "Tips for Sharing Your Experience" that provides sample questions/topics and an entire section dedicated to "Filming Your Experience". If you have any questions, please get in touch with our Customer Care Team; we'll be happy to provide assistance or guidance. Our newest Product Tip Video, "How to Store Ozonated Water" is now available! The ideal situation is to drink freshly–ozonated water within 20 minutes of ozonating, so you'll maximize the amount of ozone you ingest. But what if you don't have 20 minutes available? Or if you've a long drive ahead of you? In this quick video, Russ explains how to store ozonated water so its benefits will last several hours beyond the initial 20 minutes. Check out our other SOTA Product Tip Videos and How–to Demonstration Videos on YouTube. We're adding to the playlist all the time! For best results while micropulsing, ensure the cotton sleeves for your Silver Pulser are thoroughly moistened. Our units are designed to last years and years, and with proper care you can extend the life of your SOTA units even further. • Disconnect any cords; store them loosely coiled to avoid causing shorts or damage. 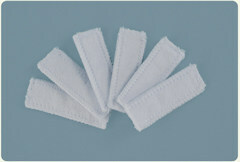 • Wrap hand paddles in a soft cloth, or give them a sock to wear to protect the lens from scratches. 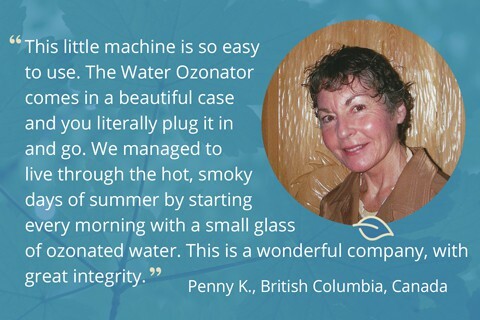 • Have a saucer or jar set up near your Water Ozonator to set your airstone in after ozonating water. Allowing it to dry out between uses will extend its life. • The best place to store your SOTA unit is in its carrying case; placed where it will be safe from falls. Be sure not to store it in an area subject to humidity or extreme temperatures. Robert Kennedy Jr. has long been known as a human rights advocate. Revealing the hidden yet harmful side–effects of vaccinations is among his interests. He passes along an in–depth, investigative report in seven parts written by Vera Sharav, a fellow human rights advocate. "The Vaccine Program: Betrayal of Public Trust & Institutional Corruption – Part 1 of 7" brings a wealth of research to light about the harm wreaked by vaccinations. The connection between animals and their humans is a special one – it's truly unconditional love. Nothing expresses the sheer joy of that connection better than a hug.